Cosmetics and perfumes have long been included in the designer's offerings. The house's first fragrance, Y for women, was launched in 1964. 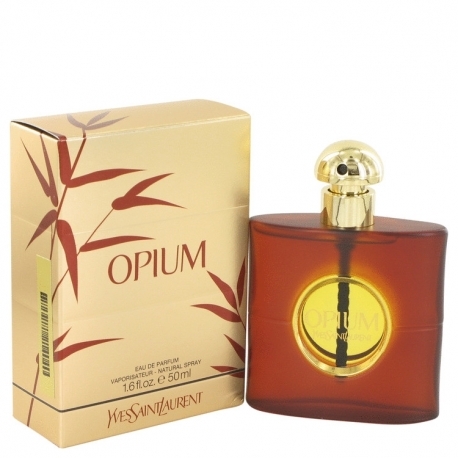 Y and several other launches by YSL, including Rive Gauche (1970), Opium (1977), men's scent Kourous (1981), and Paris (1983) have become modern classics of the perfume world and remain best-sellers. The company continues to earn new fans with contemporary releases such as Baby Doll (2000), Elle (2007) and La Nuit de l'Homme (2009). YSL offers fragrances in conjunction with L'Oreal Group. Designer Yves Saint Laurent has 171 perfumes in our fragrance base. The earliest edition was created in 1964 and the newest is from 2017. Yves Saint Laurent fragrances were made in collaboration with perfumers Karine Dubreuil, Jean Amic, Ralf Schwieger, Cecile Matton, Jacques Cavallier, Olivier Cresp, Jean-Claude Ellena, Jean-Francois Latty, Pierre Bourdon, Annick Menardo, Michel Girard, Olivier Pescheux, Anne Flipo, Pierre Wargnye, Dominique Ropion, Olivier Polge, Carlos Benaim, Juliette Karagueuzoglo, Juliette Karagueuzoglou, Calice Becker, Alberto Morillas, Amandine Marie, Ilias Ermenidis, Carlos Benaïm, Loc Dong, Harry Fremont, Dora Baghriche-Arnaud, Honorine Blanc, Nathalie Lorson, Marie Salamagne, Jean-Louis Sieuzac, Sophia Grojsman, Laurent Bruyere, Sophie Labbe and Daniela (Roche) Andrier.